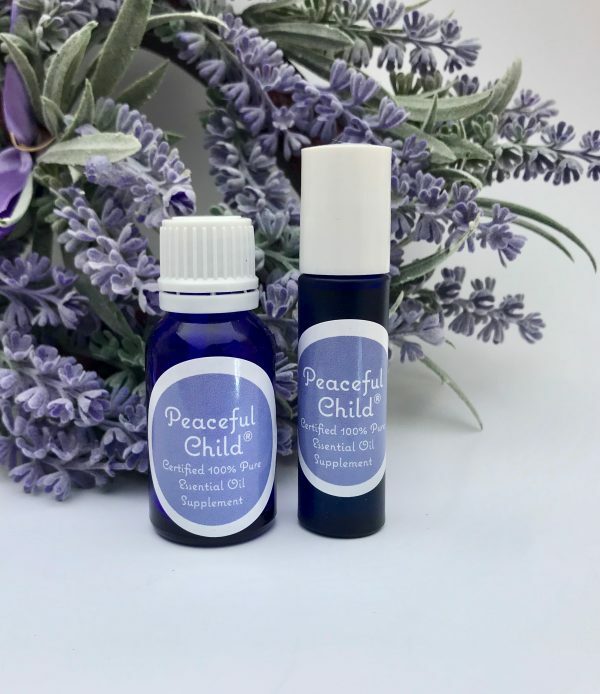 Peaceful Child® essential oil is an all natural supplement for calming symptoms associated with ADHD, PTSD, anxiety, autism, Tourettes, ODD and emotional trauma. To set up auto ship for a reduced price, please click here. To order a less-concentrated blend of Peaceful Child® in a roll-on bottle for just $8.99, please visit my shop on Etsy! Please note that this is a concentrated formulation and undiluted. It is safe to be used right out of the bottle in smaller amounts (1-2 drops/application), or you can dilute it and use liberally. 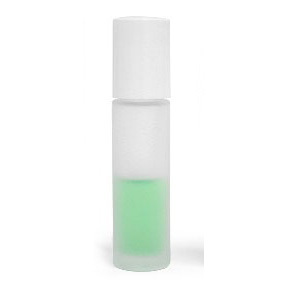 One 15 ml bottle will make up to EIGHT diluted roller bottles! Just add 25-35 drops to an empty roller bottle (available here), then fill the remainder of the bottle with fractionated coconut oil. Please be aware that Peaceful Child® is a registered trademarked product and is therefore illegal to rebrand or resell. 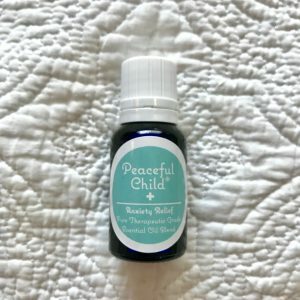 I created Peaceful Child® blend for one of my children who, as a young child, was very hyperactive, impulsive, disruptive, and had trouble focusing on tasks, schoolwork, or instructions. We didn’t want to medicate our child, but his behaviors were starting to overwhelm his father and me & so I searched for a natural solution. I couldn’t find one that was effective, so I decided to create my own. Word about Peaceful Child® spread from there. In fact, almost all my customers learn about Peaceful Child® through word of mouth. Now, school teachers, pediatricians, therapists, bloggers, and moms and dads everywhere are sharing about the benefits of using Peaceful Child® as an alternative to demanding, screaming, crying, or medicating their child. I also learned that parents, themselves, were starting to use Peaceful Child® to address their own struggles with anxiety, irritabilty, insomnia, or even emotional trauma. When I formulated Peaceful Child® I had no idea that so many children and parents from all over the world would benefit from it! I’m so grateful to all my customers who took a chance by trying out this natural alternative. Peaceful Child® may not cure disorders for everyone, but for most individuas, it calms them. It aids in balancing an overwhelmed or sensitive central nervous system. When used regularly, it seems to diminish the intensity of the above-mentioned issues, disorders, and behavioral problems. 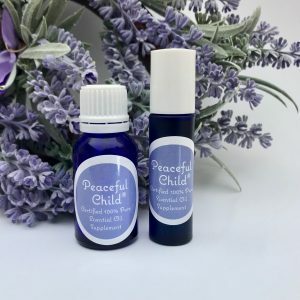 Peaceful Child® is formulated with 100% certifiably therapeutic and pure grade essential oils. These essential oils offer the complete spectrum of all possible medicinal properties from the plants they come from and are extremely concentrated. The essential oils I use in my blend are: French lavender, marjoram, clary sage, vetiver, Boswellian frankincense, ylang ylang, and a small amount of fractionated coconut oil. The oils in this blend are known for helping with: ADHD, anxiety, irritability, sensory processing disorder, emotional trauma, fear/panic, stress, disruptive or impulsive behaviors; behavior disorders, hypertension and insomnia. Peaceful Child is emotionally stabilizing as it nourishes nerves and soothes the entire central nervous system. It creates a deep, languid calm; has sedative properties; and frees the nerves from excessive tension. Restores feelings of hope and mental strength and promotes a positive outlook on life. Eases the pain behind anger and trauma and quiets mind chatter. Note: these statements have not been evaluated or approved by the FDA. Directions (this information is also included in your order): the Peaceful Child® blend must be used consistently for best results! Shake before each use, then massage 1 tear-size drop onto the bottom of each foot. Apply over the heart at on the back of neck before bedtime and first thing in the morning or to help prevent panic attacks or breakdowns in stressful situations. 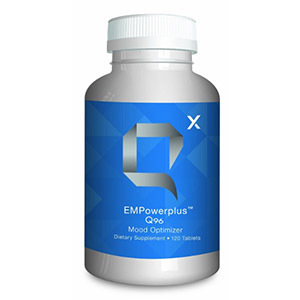 If you or your child has moderate to severe ADHD; Generalized Anxiety Disorder; PTSD; regular panic attacks; or has experienced prolonged emotional trauma in the past, you may want to consider using the stronger formula called “Peaceful Child Plus” in combination with Q96 EmpowerPlus brain nutrient formula. Learn more about Peaceful Child Plus. *discontinue use if an allergic reaction occurs on the skin, which is rare.